I am currently reading Abigail Ahern's Decorating with Style. Full of stunning images of dark, moody and eclectic interiors and lots of helpful tips and tricks to gain the look, this book is full of inspiration no matter what your style. With plenty of 'how to' guides throughout the book including 'how to add flair to your stairs', the book gives you step by step guides and easy to follow information on creating a mood board, creating style on a budget and furniture placement. Coming into the cooler months has inspired me to add a dark palette to my home with accessories and homewares. I'm a huge lover of the cooler months and find simple changes to my home add a whole new feel. Here are some of interiors and styles inspiring me at the moment, including design by Abigail Ahern. Chunky knit throws and cushions in dark colours with a touch of mustard and yellow Billy buttons make a beautiful combination. You may recognise this image from one of my older blog posts, but every time I see it I love it even more! This is the stunning bedroom of Interior Designer Abigail Ahern. Layered with gorgeous throws, cushions, flowers and THAT chandelier, not to mention the timber feature wall this room is everything I love about the design style of Abigail Ahern. Dark bedding is a lovely edition in the winter months. Black, White and Chocolate Brown is my favourite winter colour palette. I couldn't have said it better! My favourite thing to add to my house is fresh flowers. Such an affordable thing to purchase for home (I get mine from the farmers markets) and they give the home and injection of life and colour! Copper light fixtures, inky hues, dark cabinetry and charcoal feature wall make for a beautifully styles moody interior. 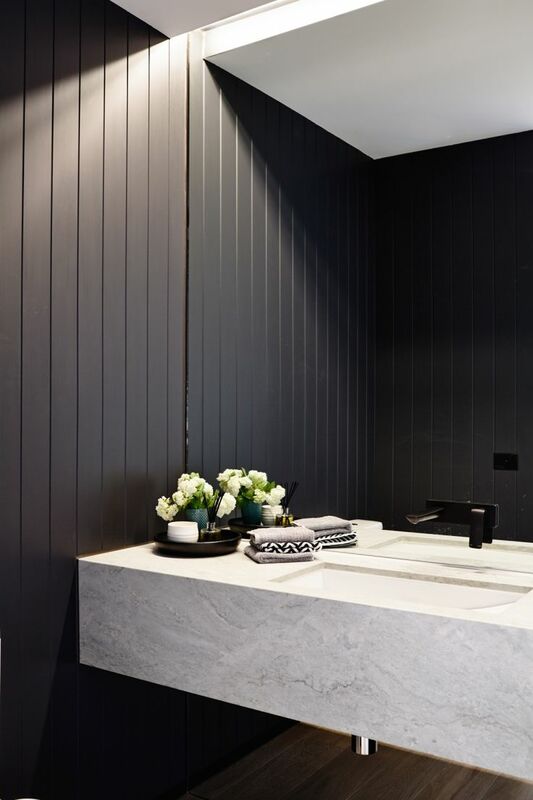 Love the herringbone timber floor, black stand alone bath tub, and copper feature pipe. 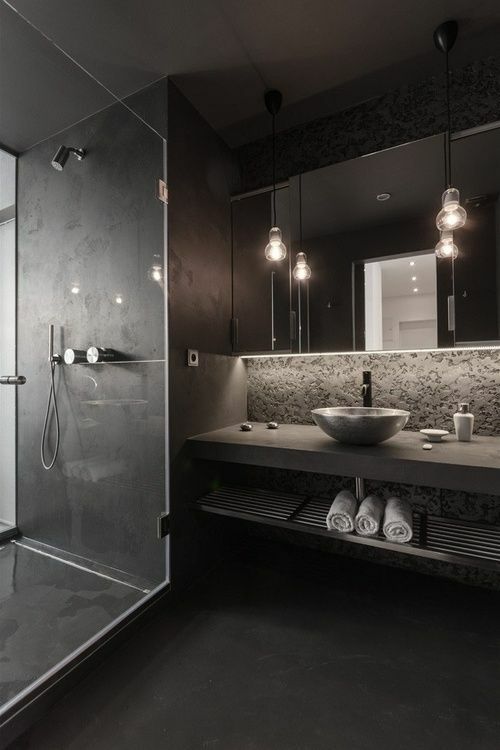 Such a stunning bathroom full of texture and dark hues. Chrystal Paleceks's San Francisco Bachelorette Pad.